Here you are, incredibly pleased with the new graphic made just for Facebook. 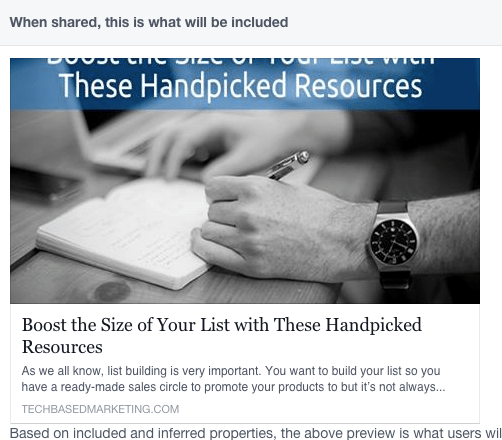 You loaded it up to your website, added the image to your blog post. All’s good. Then, someone shares the post – score! But wait a minute. What? Why is Facebook pulling that image? Noooo! That’s a horrible image. It’s not the one you made for the post. What happened? The answer can be one of two. Though most networks do a great job of sniffing out the right images most of the time, it’s not a guarantee. 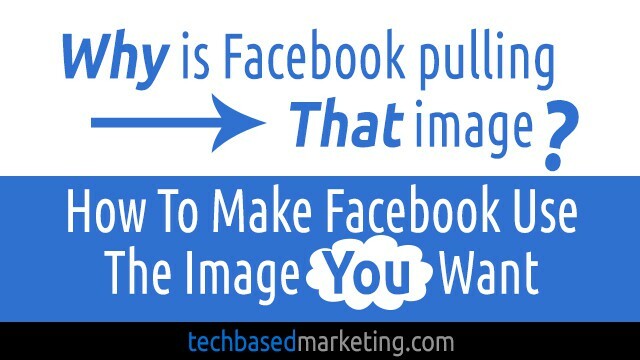 If you want the correct image to show up each time someone shares on social networks, you need to tell them which. For WordPress, the solution is a simple plugin. Isn’t that the solution to everything on WordPress? Uhm… no, but that’s for another day. I prefer WordPress SEO by Yoast. Simply because it kills a few birds with one stone. I can optimize the post or page for traditional SEO, plus Facebook and Twitter. Interestingly, many who already use this plugin don’t realize this is possible. 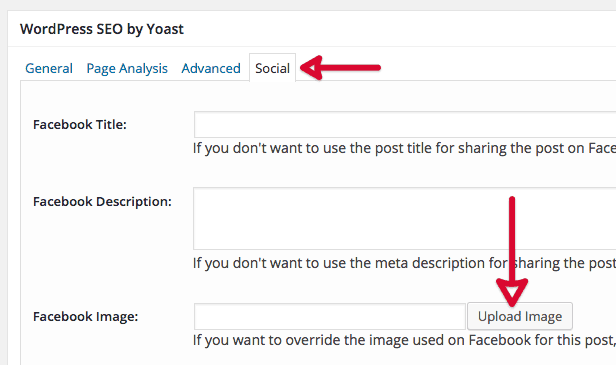 If you use this plugin and have never explored this, next time you are writing a post, scroll down to the WordPress SEO block, click the Social tab. You’ll see the option to define an image there. You don’t have to use or complete any other field if you don’t want to. I don’t optimize all my posts and some posts are optimized for social but not search, others are the other way around. WordPress SEO is an essential plugin in my eyes. Even if you don’t optimize your pages a lot, there will come a time where you will want to on some. That’s why I like it. Whenever I need it, there will be no need to hunt for another plugin to add to the list. It’s already there. Patiently waiting. 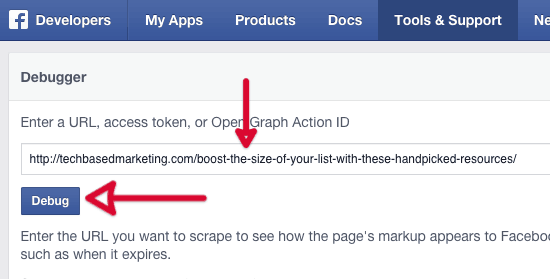 For whatever reason, if you don’t want to use it, you could try Facebook Open Graph, Google+ and Twitter Card Tags. It doesn’t help with traditional SEO, but it does optimize for social. Namely, Facebook, Google+ and Twitter. Did All That But Still Not Working? Facebook probably has cached your post. So even if you update the image and implemented the images using these plugins, you will still see the wrong image get pulled up. This even happens for fresh, just published posts. Not sure how that comes about, but the solution is simple. Pull up the Debug tool. Enter the exact URL of the post in question (not your home page). Click Debug. Check the result. It should tell or show you what it sees on your page. In particular, check the og:image field for the correct image. Also, scroll all the way down to see the block “When shared, this is what is included“. If they don’t look right, go back up to the top. 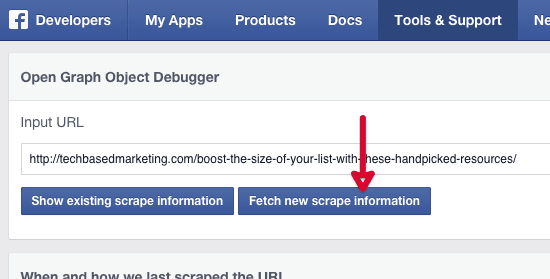 Click Fetch new scrape information. Check again. This should do the trick. Most welcome Nikki. For a long time, I didn’t either and it’s easy to miss. Thank you for sharing this. I have been going crazy with this issue the past week. I have bookmarked this post in case I forget how to fix the next time. Most welcome Robin. It is quite annoying, but at least they give the option to do something about it.